PRISMA is an evidence-based minimum set of items for reporting in systematic reviews and meta-analyses. PRISMA focuses on the reporting of reviews evaluating randomized trials, but can also be used as a basis for reporting systematic reviews of other types of research, particularly evaluations of interventions. More information can also be found at http://www.prisma-statement.org. 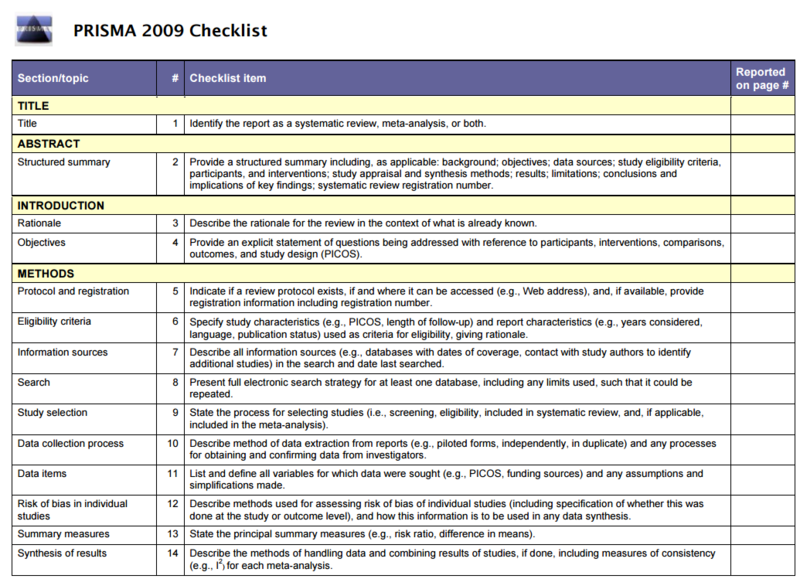 Want an easier way to fill out the PRISMA checklist?